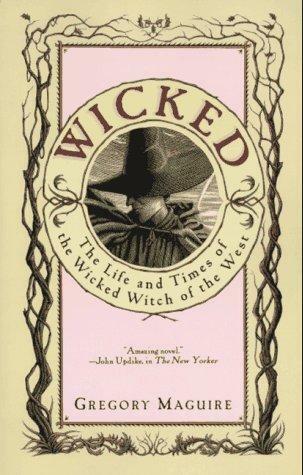 Writing fiction and non-fiction for both children and adults, Maguire is best known for his 1995 novel, Wicked: The Life and Times of the Wicked Witch of the West, which was adapted into the Broadway smash hit Wicked!. I had a great aversion to working in offices, as I grew up during the period hallowed by MAD MEN—boring drunken men in white shirts and ties, all with the same sort of impenetrable macho stiff-upper-lipped mien (at least it seemed so to a small kid). I decided by the time I was about 6 that I would rather make things than sell shoes or insurance and have to go to an office and be manly in that only-variety-of-manliness way available for me to examine. I call it fantasy. I think origianlly I thought I was compromised in my ability to understand the adult world, and writing fantasy would relieve me from the pressure of having to understand the mechanics of all kinds of things that didn’t come naturally to me: the lust for money, for approval, the slotting into a 2.2-children straight marriage a la Ozzie and Harriet. (I couldn’t back then conceive of Ozzie and Harry.) Fantasy as a genre meant all things were possible, but you got to make the rules. And you HAD to make the rules too, for fantasy without rules is like making jello without refrigeration. It doesn’t work. I like to try to write fantasy that is so real that it seems as if it must be true. In the same way, when I write realism (which I do occasionally), I like it to be so true as to seem fantastic. Neither of these are easy ambits around the genre-pool, believe me. But it’s important to set high expectations for one’s self so if one fails, one might fail spectacularly. Joking aside, I write mostly because I don’t know what I truly think about something until I am obliged to commit it on paper. This makes me a bad conversationalist at an intellectual, New York Review of Books type dinner party. Scribbling on the tablecloth is frowned upon. When I was young, I said to myself, “If this book took me two years to write, I will spend two years to try to sell it.” And my first book took just that long. I became usefully schizophrenic, dividing my business self from my creative self. Now, if a piece is rejected, I usually consider it a sign of bad taste on the part of the journal or publisher, and believe myself to be well out of it. That’s specious and snide, but I find it works. Not that I write fast enough to be rejected on a monthly basis, mind. Though I have a beautiful purpose-built study, I usually write in coffee shops. I begin by hand to get the tone going correctly, and then convert to the laptop keyboard. I write from page 1 to page Finis without correcting or changing anything. A ha. I have to say I am very fond of my nonfiction piece called MAKING MISCHIEF: A MAURICE SENDAK APPRECIATION. (HarperCollins, about four years ago or so). I had started out wanting to illustrate, and I thought once I had developed some standing in publishing fiction, I would start to demand the right to illustrate my own books. But then I married a painter and I felt for the sake of marital harmony I should gracefully bow out of making representational artwork. I am happy with my marriage, but in an alternate universe I would be an illustrator, too. What project are you working on now and when is it due out? 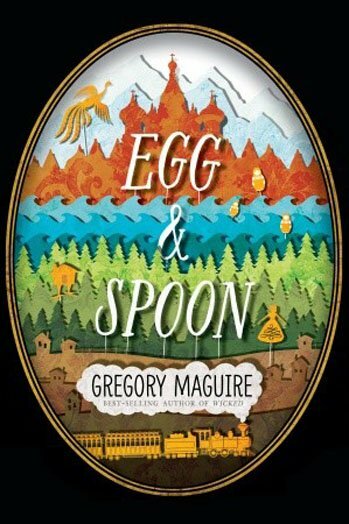 EGG & SPOON is a novel for children, a big fat 500 page novel, out in September from Candlewick Press. It has just been optioned by Universal Studios. When you were approaching a story that is necessarily defined by someone else’s mythology/world (Oz), how did you choose which elements to maintain and which to alter? The adoption of a pre-existing universe is never done just for the fun of it; it’s done because that setting and universe will serve me well to highlight whatever theme I may be interested in pursuing. So I write for theme rather than plot. Oz seemed to me usefully incomplete when it came to ethical coherence, making it a perfect setting to explore the matter of evil. You create rather complex political and social structures and complications in your books, how do you go about setting those up? Do you have any go to tricks or resources? I have been a reader for more than half a century; one tends to amass all kinds of doubts, critical apprehensions, and curiosities. But if I’m ever in a pinch, I go back to Graham Greene. He did everything, and everything he did, he did well. You write both children’s and adult fiction, what do you find to be the key differences, beyond vocabulary and length? Children are much more intelligent than adults, if they read at all, because they pay closer attention. One can be more subtle and seditious with them. 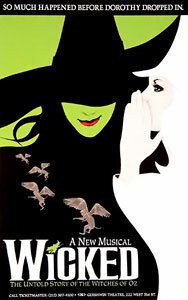 Can you speak to the process of, and your involvement in, the adaptation of Wicked from the book to the stage? I’ve written about this at length. In a nutshell, I chose not to be involved in the adaptation once I was convinced it was in good hands with Stephen Schwartz and Winnie Holzman. I didn’t want to queer the project (in that other sense of the word) by my lack of expertise in writing for the stage. I also wanted a healthy distance from the play in case it bombed. I wanted it not to be my fault. All in all, my decision to be avuncular rather than micromanager served the play, and me, in fine, fine stead. Really enjoyed reading the interview and I thought the comment about children being more intelligent readers is quite insightful. Adults seem to try to do everything fast, including reading.